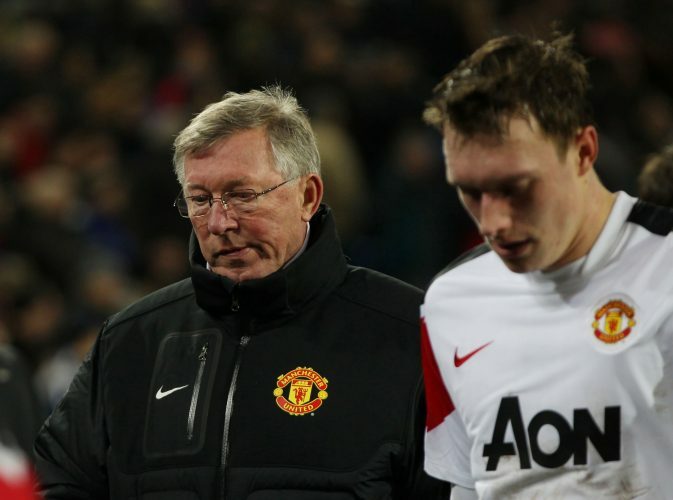 Sir Alex Ferguson's 10 Final Signings: Where Are They Now? Sir Alex Ferguson remains one of the greatest managers to have ever graced the game of football. Not only did he lead Manchester United to tremendous domestic and continental glory, but he also transformed the Mancunians into the most successful club in England by knocking Liverpool “off their perch”. The Scot’s tactics ensured that his teams always played beautiful, free-flowing and pacey football on the pitch. However, he was just as good a businessman off the pitch. While he did prefer promoting promising graduates from the club’s famous youth academy, he also had a penchant to dip into the transfer market to sign up-and-coming talents from around the world. With that said, he did not hesitate to cough up the big bucks to bring in established superstars either, when need be. Officially signed for the club in the 2011 winter transfer window, and was initially touted to challenge David De Gea for the primary goalkeeping spot. The Dane made numerous first-team appearances for the Red Devils, before leaving for West Brom on a free transfer in August 2015. Upon finalising the deal, Sir Alex had likened Jones’ physique to club legend Duncan Edwards, whilst also sensationally claiming that the defender could go on to become one of the greatest players in the club’s glorious history. While that has certainly not been the case, the centre-back remains at the club, still fighting for a guaranteed spot in the team’s defence. Sir Alex beat Liverpool for the signing of this pacey winger, who has since transformed his game altogether, and is currently a full-back in Ole Gunnar Solskjaer’s setup. The club captain these days, especially with Antonio Valencia out of the picture. 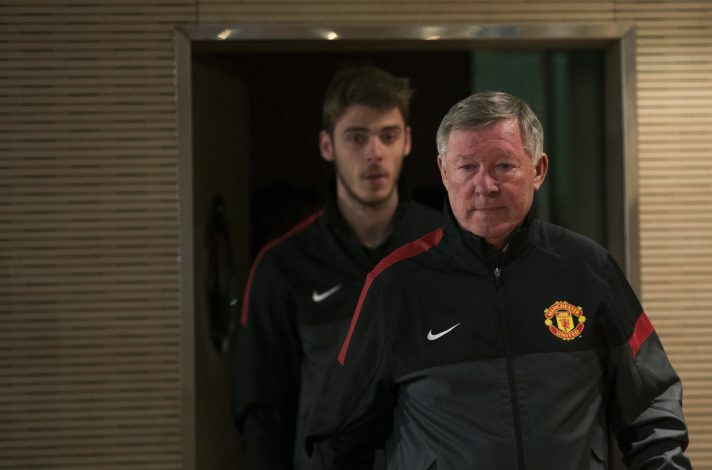 Sir Alex Ferguson only ever missed a Manchester United game on two occasions as first-team boss – one for family reasons, and the other to scout David De Gea. Despite struggling heavily during his first few months in England, the boss maintained his trust in the young custodian, and it was well and truly worth it, as the 28-year-old is currently one of the best goalkeepers on the planet. Almost left the Reds to join Real Madrid a few years ago, only for the transfer to fall through due to a fax machine error. Dave has since committed his future to United, and remains an extremely vital part of the squad. Became the first ever Japanese player to don the famous Red jersey, and also the first ever Asian footballer to score a hattrick in the Premier League. Kagawa played a notable role in helping Ferguson win the league in the gaffer’s final season in-charge, but failed to nail down a spot in David Moyes’ side. Returned to Borussia Dortmund in the summer of 2014, and is currently on loan at Turkish outfit Besiktas. Touted to be a potential successor for Paul Scholes, Powell scored a Scholes-esque long-range goal on his competitive debut against Wigan – the club he later joined on loan, and on a permanent basis eventually. Still plying his trade at the DW Stadium outfit, and rather successfully, as he was nominated for the EFL League One Player of the Season award at the end of the previous campaign. Made an instant impact after moving from London to Manchester, as he played a humongous role in leading the Red Devils to their 20th Premier League title in his debut season. Struggled post Sir Alex’s retirement, and despite scoring consistent goals under both Moyes and Louis van Gaal, the lethal striker was far from content with life under either. Left United rather unceremoniously to join Turkish side Fenerbahçe, before heading back to his homeland, at the club where it all began: Feyenoord. The striker barely made any notable impact at United. Was sent out on loan spells at Wigan Athletic, Real Zaragoza, Dinamo Zagreb, and Mexican outfit Atlas. Now back at Universidad de Chile. Was brought in as a potential long-term successor for Patrice Evra, with some even likening his pace and attacking instincts to that of Gareth Bale. Never really established himself as the team’s first-choice left-back, and eventually left for Dynamo Moscow after falling out with Louis van Gaal. Now back at the club he was signed from by United. Sir Alex Ferguson’s final signing for Manchester United, although Zaha never really featured under the legendary Scot. Made his debut under David Moyes, who failed to give the young forward a proper chance. Malicious rumours claimed their poor working equation was due to the player having improper relations with Moyes’ daughter, which further ruined the Ivory Coast international’s spell at Old Trafford. Zaha has since returned to his former club, like so many of Ferguson’s final signings, and is currently one of the best forwards in the Premier League.